﻿﻿AFFORDABLE RATES WITH CORRECT SERVICE! Not only does CORRECT Pest Control offer affordable services, we also offer multiple services to suit our customers needs. Questions? Quotes? Something BUGGING you? Send us a message! KEEP PESTS AWAY IN OR AROUND YOUR HOME!! 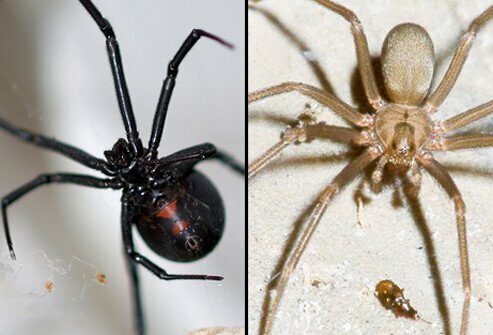 Black Widow Spider (left) and Brown Recluse Spider (right). STOP wasting your money on store bought over the counter products! 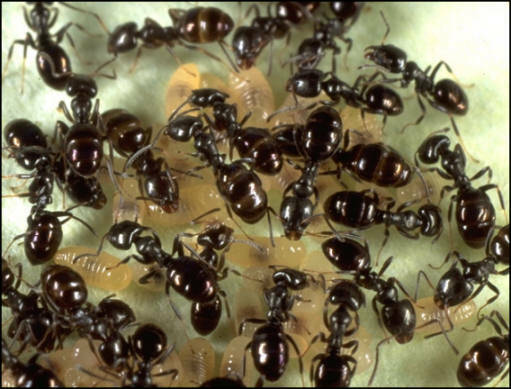 The products we use are specialty products and are an effective way of keeping pest away! CORRECT is studying more research-based approach and hands on to eliminate bed bugs and to provide a solution that responds to concerns to our customers and the general public with an effective way which will kill bedbugs at all stages of development---egg, larvae, pupae and adult. KEEP FLEAS AWAY AND OFF YOUR PETS!! Fleas Fleas can quickly become a problem for your pet, then multiply in your home. Copyright 2010 CORRECT PEST CONTROL, INC.. All rights reserved.